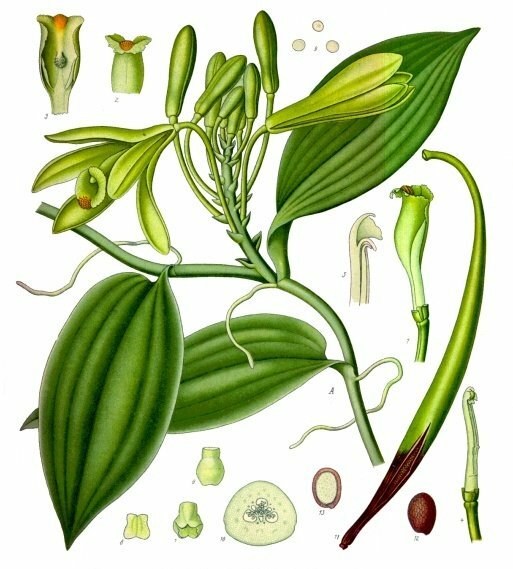 I think I have not shared with you how much I enjoy reading books about food; so now that you know let me tell you that I am in the middle of a book -with a very beautiful cover- called Vanilla, Travels in the Search of The Ice Cream Orchid. Some facts are interesting enough to share with you, so here they go, enjoy reading them and then go get some vanilla ice cream! What about those little specks you get in vanilla ice cream? Well, I am off to read some more and find some vanilla ice cream as a mid-day snack. This entry was posted in Books, Coffee and Chocolate by Becky Pliego. Bookmark the permalink. Ditto what Persis said. 🙂 Reading about food – it's orgins, uses, etc. – is quite interesting. There's one about salt that I've been meaning to pick up… it looks like an intriguing read.